Advocateinchandigarh believe in making good relationship with his clients because good working relationship between the client and an Advocate, will result in a better outcome, a smoother process, a lower account and a satisfied client. To obtain a good working relationship it is important that both client and Advocate recognize their own and each other’s responsibilities. 1. TO ADVICE: An Advocate advices the client as to how the law would apply to the client’s case. As the law is not an exact science, the advice will include the range of possible outcomes if the matter is litigated and a judge has to decide the case. An Advocate will advise the client on the different arguments that can be made for and against the client and assess the probability of success as well as on the best strategy and legal procedure to obtain the desired outcome. That strategy may range from doing nothing to taking the case to the court of appeal, if need be. The advice will originally be based on the facts first given, and the law at that time. As the opposing party’s evidence is known and an Advocate assesses the court’s probable findings of the facts, that advice may change. The law is also changing as new cases interpret the Family Law Act. Those new cases might result in a change of advice also. 2. TO NEGOTIATE A SETTLEMENT: An Advocate will negotiate on the client’s behalf with the opposing party’s Advocate or the opposing party, if he or she has no Advocate, to obtain a complete settlement of all the issues. During the negotiating process the client will be consulted and will be expected to give instructions to an Advocate as to the terms of the settlement that are acceptable to the client. 3. TO DRAFT THE APPROPRIATE DOCUMENTS: If the matter settles without commencing court proceedings an Advocate will draft an agreement. If court proceedings are needed an Advocate will draft the Petition and all other documents that are required to commence and continue a court action. 4. TO ADVOCATE: If the parties cannot settle the matter then an Advocate will argue the case at all levels – the interim motion, the trial and the appeal. An Advocate will conduct the appropriate cross examinations and prepare the necessary documents and appear at the pre-trial conference. 1. TO PROVIDE GOOD SERVICE: This includes returning phone calls the same day they are received or by the next day if an Advocate is out of the office. If the call cannot be returned by the next day, an Advocate’s secretary should call. Good service also includes receiving copies of all court documents and important correspondence. Communication of major developments in the case should be made as soon as possible. The prompt and courteous service also must be extended by all the office staff to the client. 2. TO GIVE A REALISTIC ASSESSMENT OF THE CASE: An Advocate should tell the client what an Advocate believes the client’s realistic chances are of obtaining the outcome the client wants. An Advocate should not be overly optimistic to make the client feels better about the case. That feeling may fuel a court battle that cannot be realistically won. This unwarranted optimistic approach also will result in a big letdown if that outcome is not achieved either through negotiations or through the court system. However, an Advocate should not be overly pessimistic either. Being pessimistic is not fair to the client as it does not allow him to assess the case properly. The client’s instructions are then not based on the proper facts. 3. TO PROVIDE FINANCIAL ACCOUNTABILITY: An Advocate should at the first meeting explain how the fee will be determined and when it is expected to be paid. An Advocate should tell the client what the disbursements (money spent on the client’s behalf) will be. If the fee is to be on a time basis then the account should detail the date the work was performed, the work done and the time taken. The account also will detail the disbursements. As best an Advocate can, there should be estimates of what the case will cost if it is being charged on a time basis. Interim bills should be sent to the client so the client knows the amount due to an Advocate. 4. TO TAKE THE CLIENT’S INSTRUCTIONS: An Advocate must take the client’s instructions. An Advocate should not try to force the client into taking a position the client does not want. On occasion an Advocate believes the client is willing to settle for far less than a court would order. In those situations an Advocate should not bully the client into changing positions but rather obtain a written acknowledgement from the client that the settlement in an Advocate’s opinion is unfair to the client. 5. TO HOLD THE CLIENT’S INFORMATION IN CONFIDENCE: An Advocate should hold in strict confidence all information concerning the client and not divulge any such information unless authorized by the client. 6. TO GIVE AN ADVOCATE’S BEST EFFORTS: An Advocate should treat each client and each file as very important and try his best. This does not mean spending a lot of time on each file because the resulting cost may be much more than the matter is worth to the client. It is more a matter of an Advocate’s general attitude. Although what an Advocate is doing may be routine work, it is extremely important to the client and deserves an Advocate’s best efforts. 7. TO BE SENSITIVE: An Advocate must be a good listener and empathize with the client’s problem. An Advocate must with sensitivity ask the client questions the client may be reluctant to talk about. However, an Advocate must though sympathetic to the client’s problem, be objective about the advice given. The client must remember that an Advocate is still on their side even though the client does not like the advice given. 1. A THERAPIST: The client must remember that though their case may have a very emotional element that an Advocate is not trained to treat emotional problems. Just telling an Advocate their story will be therapeutic to many clients. However, if counseling is needed the client should seek a qualified health professional. An Advocate can help guide a client to the appropriate specialist. The cost of these professionals is usually covered by a drug plan or OHIP. 2. A HIRED GUN: If the client’s position is untenable, completely unrealistic and has no chance of success in negotiations or at court then an Advocate has the right to withdraw from the case. An Advocate is not a “hired gun”. An Advocate is an officer of the court and owes a duty to the system to be realistic. It also hurts an Advocate’s credibility with his colleagues and judges if he or she argues ridiculous positions. Some Advocates will disagree with this position. The client can then hire those Advocates if the client so wishes but the result is usually disastrous. 3. A MIRACLE WORKER: If the relief requested is not something the other party will accept or a court would probably order then it will just not be obtained. As the law is not an exact science, vague and uncertain in many areas and as there is a wide discretion with a judge, it is true that the range of possibilities is wide. However, the probability range of what the result will be is usually much smaller. Clients must understand that if the client and the other party cannot agree on the terms of a settlement then a judge must decide the case. This means going to court to argue the case. The results in much higher costs, however, there is no alternative as there is no settlement. 1. TO PROVIDE INFORMATION: The result of any case depends on two factors – the facts and the law. It is the client’s responsibility to provide all the facts that an Advocate requests. This may involve extensive work by the client. Old records will have to found, time and energy will be needed to detail all the assets in a marriage and their costs and to prepare a budget. A client may have to interview relatives and friends to confirm certain events. This work is very necessary for the success of the case. 2. TO GIVE INSTRUCTIONS: After an Advocate has given advice and has explained the alternatives, the client must tell an Advocate what to do. The client cannot let an Advocate make the decisions. The client’s decisions are based on the advice given by an Advocate but the client cannot leave the decisions up to an Advocate. 3. 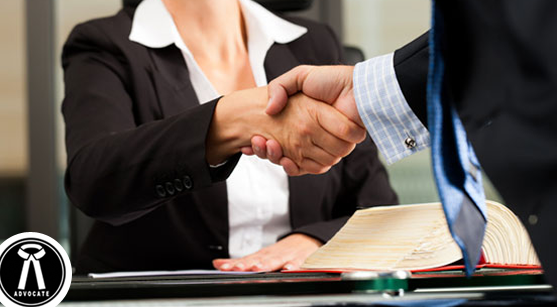 TO PAY AN ADVOCATE: At the first metting an Advocate will have discussed fees with the client. If the client cannot pay the fee requested in the manner requested then the client should say so. If the client as the file progresses does not live up to their obligation to pay the bills that are rendered, then an Advocate has the right to stop work on the file. However, discussing the matter with an Advocate will usually result in alternate arrangements being made if the facts warrant it. 1. TO SUPPLY TRUTHFUL INFORMATION: Lying to an Advocate has harmful consequences for the client. Lies are almost always discovered by the other party and their Advocate. When that discovery occurs the client will lose credibility with the court so that even truthful assertions will be suspect. Often the lying is about irrelevant or minor matters but the loss of credibility will apply to all the issues including the major ones. If the truth is told from the beginning an Advocate can properly build the case and develop the strategy. However, when the lying is discovered it may be too late to switch the strategy. Besides perhaps destroying his own case, the lying client may be charged with the criminal offence of perjury. Holding back relevant information against one’s case has the same consequences as lying. TELL AN ADVOCATE THE TRUTH AND LET AN ADVOCATE BUILD THE CASE BASED ON THE TRUTH. 2. TO PROVIDE THE FACTS IN AN ORDERLY FASHION AND ON A TIMELY BASIS: A Advocate can not complete the file on a timely basis or file appropriate documents on behalf of the client if the client does not provide the facts when asked. It is also hard to conduct the case, though not impossible if the client is continually telling the client of facts he just remembered. 3. TO ACT RATIONALLY: Family law matters can be very emotional. Separation from one’s spouse a most difficult time in one’s life, may result in irrational behaviour by a client. The client must try to take the emotional aspect out of their behaviour and decision making process. 4. TO ADVISE AN ADVOCATE AS TO HOW HE IS HANDLING THE CASE: If the client is dissatisfied with any aspect of the handling of the case the client must so advise an Advocate. An Advocate will then be able to resolve the complaint. If the client waits until the case is over it may be too late for both the client and an Advocate. 5. TO SHOW APPRECIATION: Advocates are human beings too and therefore like to be appreciated. If an Advocate did a good job then the client should express this satisfaction. An Advocate’s main source of business is from repeat clients and referrals from happy clients. A satisfied client can best show appreciation by referring relatives and friends to an Advocate. 1. TO KNOW THE LAW: The client is not expected to know the law. If that were so an Advocate would be out of business. The client should therefore not feel embarrassed to ask any question of an Advocate regarding the law. This memorandum sets out our beliefs as to how Advocates and clients should conduct themselves. we try to adhere to our own rules as an Advocate and would hope that you the client can do your best to follow your rules. If you have any questions concerning this memorandum please do not hesitate to discuss them with us.